With many patients receiving a portion of their care treatment outside the purview of their primary care provider, Accountable Care Organizations (ACO) often need to convince external providers to participate in the shared health program of that patient. In addition, independent physician-lead ACOs are required to accurately track and monitor the contribution of each participating provider when it comes incentive payment distributions. They also need to effectively manage the performance of contributors that cause the outcome/value analysis to fall outside “incentive” parameters or lead to penalties. In order to achieve this, many ACOs face significant healthcare data integration challenges. Thankfully, comprehensive health data management systems enable the rapid ingestion of patient data from incompatible data formats or unstructured data sources, such as visit notes, transcripts or physician letters, as well as normalize it and enable reporting and query of those records in real-time. IMAT Solutions will be showcasing this type of health data management solution at Table #36 at the upcoming NAACOS Spring 2019 Conference, which is taking place April 24-26 at the Hilton Baltimore Inner Harbor. 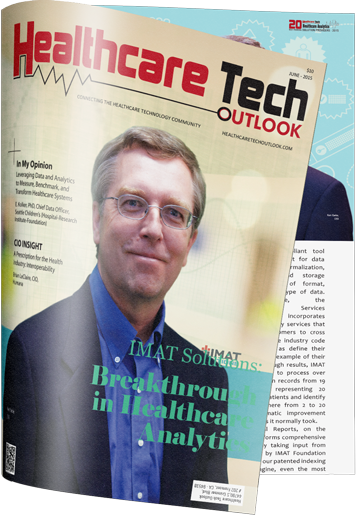 The IMAT platform helps ACOs to enhance data interoperability, have timely and accurate access to data, and improve overall reporting. The solution also aids in the tracking of all value-based reimbursement measures, such as hospital readmissions, across all participating providers and facilities.